Posted September 6, 2017 by Charles Morris & filed under Newswire, The Vehicles. Since the Bolt and Model 3 cracked the 200 mile/$40k barrier earlier this year, we’ve been eagerly waiting to see how EV pioneer Nissan would respond. Well, the company has just unveiled its new 2018 LEAF and…we’re not sure what to think. From a technical standpoint, the next-gen model offers only an incremental improvement – slightly increased range and a couple of new driving features. The main focus of Nissan’s effort seems to have been the vehicle’s styling, which got a complete makeover. The new LEAF looks more like other current Nissan models, and has dropped the protruding headlights and prominent haunches that made the old LEAF instantly recognizable. This may be of little interest to engineer types, but Nissan is obviously hoping that it will make the EV more attractive to the typical car buyer. The 2018 LEAF has a more powerful electric motor: 147 horsepower and 236 pound-feet of torque, compared to the 2017 model’s 107 hp and 187 lb-ft. The onboard charger is apparently unchanged: charging power is still 6.6 kW, and CHAdeMO DC fast charging is available as an option. The size of the battery pack has been increased from 30 kWh to 40 kWh; estimated range is now 150 miles, up from the 2017 model’s 107 miles. The battery pack still uses passive air cooling, and the cells come from the Nissan/NEC joint venture AESC. Nissan has said that it will offer a 60 kWh battery pack as an option in 2019, which will presumably bring the LEAF’s range over the arbitrarily-selected magic number of 200 miles. The new 40 kWh pack fits in the same form factor as the previous 30 kWh pack, but the car’s floor pan may need to be enlarged to accommodate the 60 kWh pack – Green Car Reports surmises that that’s the reason it wasn’t included on the 2018 model. The 2018 LEAF includes a feature that Nissan calls e-Pedal, a selectable one-pedal driving mode similar to that used by the BMW i3 and Chevy Bolt. The new LEAF will also be the first Nissan vehicle to offer ProPilot Assist, which combines adaptive cruise control and automatic lane-keeping. So, the new LEAF looks cooler, and it has a little more range, but how will it compete with the Bolt and Model 3? It will be very interesting to find out, because, while the two American EVs have substantially more range, the Japanese offering is a lot cheaper. MSRP for the 2018 LEAF will start at $30,875 including delivery – that’s actually $690 lower than the base 2017 LEAF S, and almost $7,000 lower than the Chevy Bolt. The 2018 LEAF will go on sale in Japan in October, but deliveries in North America won’t begin until “early 2018.” Nissan will unveil the full 2018 model lineup, with trim levels and available options, closer to that time. Worthless. Tesla 3 blows it away. So does the original Leaf in value. Yes and the redesign is really pretty ugly, there were some renditions, that is prototype sportier models, that had circulated in “2018 LEAF images”==> Just look at this car next to the Model 3 Tesla and compare…yuk!! Nissan may want to conduct a marketing practice known as “Focus Groups” in Europe and the USA to determine what people in these countries would find attractive in a car design, especially after the disaster of the previous 6 year run LEAF styling fiasco!! First this car is not in the same class as the bolt . And the bolt is not in the class of the model 3. They all have their place. I don’t like the model 3 fan bashing that has been going on against the bolt and leaf. When the 2019 leaf comes out in 2018 with over 200 miles then compare it with the bolt. I believe this is called “way too little, way too late, for way too much”. We have a 2016 LEAF and love it, but occasionally wish we had a wee bit more range. This new LEAF is perfect with the range increase. As an EV driver I don’t have range anxiety. I don’t need, nor want to pay for, 200-300 range. So I like this new LEAF and its relatively affordable price point. A lot of people bought the old Leaf, which surprised me because the range is so limited and it’s kind of homely. This new version looks better, though it does look like the same old shape with a new skin over it. Also apparently the basic vehicle is very similar, with a similar battery structure. They are basically squeezing more battery capacity into the same space. Yes this has less range than the Volt and Tesla 3, but it also costs less. I might actually go for this over the Volt because the range is adequate, it looks better, and it costs less. The problem with the Volt and TM3 is, yeah they can go over 200m, but we are a two-car family and we still need one vehicle that can go 400m or more in a day. If we keep one gas or hybrid that can do that, and get one BEV for home/commuting, then that 2nd car can just as well be a Leaf at less money. That probably describes a lot of peoples’ situations. You are probably thinking of the Bolt, not the Volt. The Volt has a gas engine which gives it the same range as most gas vehicles. The Bolt has no gas engine but has about 200 miles of electric range. The i3 would be great if it used normal tires. The ones they decided to go with are terrible. I’m really surprised they released anything less than a 200 mile range. Was really expecting a 60kWh battery to compete with the Bolt and Model 3. As an EV tragic I tried to watch the live stream of the unveil but it was so boring I actually fell asleep. Charles Morris should have written their presentation, all the important detail and none of the over the top show biz we were treated to from Japan. I can’t fathom why Nissan still have not gone to proper thermal management of the battery pack. I won’t criticise the range though since there appears to be a place in the market for a shorter range EV at the lower price point that such a car could be sold at. Thank you Charles Morris for a very informative piece, concise and not in the least boring. Not a thing about it only innovative and most important feature, V2G, that allows the Leaf to power ones home, business or sell peak power to the utility, etc. The bad thing is it kept it’s worst points, the old battery cells and NO cooling. Air under the car doesn’t not cool the battery well at all. Since cold sinks at most only a few cells will be cooler than the hot top cells causing big problem, dead packs from the temp differential . Otherwise better aero, likely a sweet spot in price and range, still ugly. The new Leaf may not be a game changer, but it looks like a very attractive option for many people (including myself). I don’t think that 200+ miles of range is essential for everyone. If you want to pay for it, Tesla and Chevy (and in the future Nissan) can provide it, but as a Leaf owner for nearly 3 years, I have had no issue putting 15k miles a year on our car. There are times when I will be glad to have the extra range of the new model– especially because it is offered at the same price as the old model. The price factor should not be overlooked. I think it is laudable that Nissan has decided to keep the price low rather than emphasize long range over affordability. I test drove the Bolt and I was underwhelmed. The extra range of a Bolt is something I would only take advantage of very occasionally and is definitely not worth the extra cost for me. Personally, I am glad that an affordable option with reasonable range exists and it appears to have a lot of good improvements over the old model. Apparently the Hyundai Ioniq was going to be a competitor at this range and price, but so far it’s a California-only car. At this point in time, Nissan owns the $30k price category. I’d love more options, but for the time being I’m feeling lucky that there is something that won’t break the bank. YAWN…they need to adopt CCS Fast Charge Connectors and save real estate on the vehicle (it is the US standard)…and I’ll wait until they break 200 mile range before looking at a Nissan. 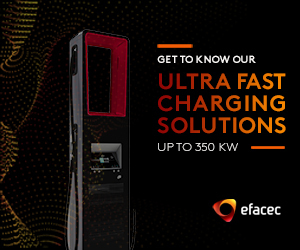 what is the maximum quick-charge rate in Kw? Its a good step forward on a lot of things, but would have loved to have seen a little bit more from Nissan. I still think it will sell well as an Urban commuter but just cant see it being any more than that. An EV with a 80 mile range comes up waaay short in LA driving commutes. Having to plug in 2 or 3 times a day is a total nuisance. An EV with a 250+ mile range may or may not justify the extra expense but a less expensive EV with a 150 mile range may be an ideal spot between price and range. Also consider how these range postings are in ideal conditions. Turn on the heater, lights and windshield wipers, drive through some mountain passes, keep up with 70 mph traffic, and the range drops significantly. Actually, now that I think about it, I might need a 250+ mile range after all.